I’m especially excited about this year’s Golden Globes because I feel like, more than ever before, so many of the movies have already been released, with fewer than five major movies slated for a Christmastime release. I know that won’t end up being true since we’ll still get some surprises and some foreign nominees that won’t be released until 2021, but I also feel that most of the films that are doing well with precursor organizations are ones I really like. What this will ultimately test is how well the later releases will do – namely “Fences” and “Silence” – and if other films from earlier in the year, like “Sully” and “Florence Foster Jenkins,” will have big showings. 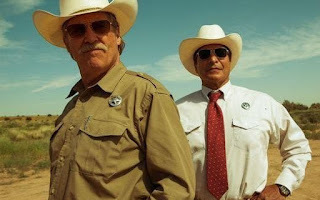 I'm not predicting much for "Hell or High Water" but I really hope it does well since it was superb. More thoughts once we have the nominees! Check back all day tomorrow for reactions by category, and leave your thoughts in the comments! Read TV predictions over at TV with Abe.